Churchill Wealth Management has been providing independent financial advice for over a decade. We principally provide advice to those in the South West of England and Wales but we welcome clients from all over the UK. We believe that in order to dispense suitable advice, advisors should be qualified to the highest level. That’s why our advisors are Chartered Members and Fellows of the CISI, have the highest industry qualifications available and have various academic qualifications including degrees at Masters and PhD level. It is also imperative that financial advice is supported by experience and real world knowledge. 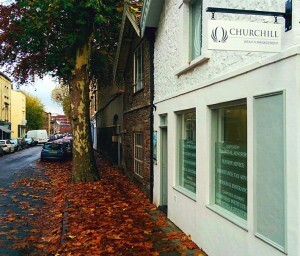 At Churchill Wealth Management we collectively have over 100 years of experience in finance from differing backgrounds. As part of our commitment to providing the highest level of service possible we regularly attend seminars and presentations to keep up to date on changes in the industry and our staff continue to study to ensure our technical knowledge is always expanding.